Marcelo Lippi: the £18MILLION-a-year man! 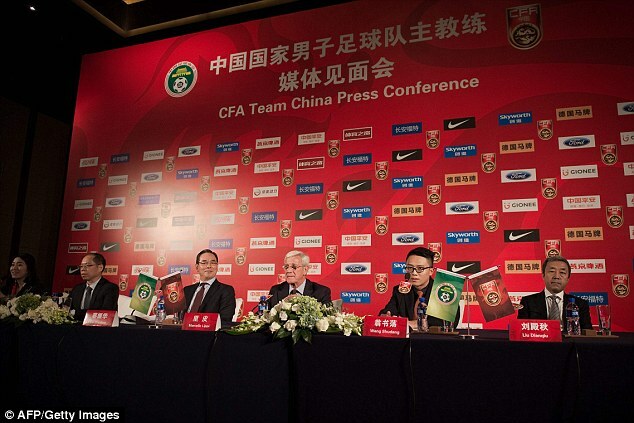 New China manager Marcello Lippi has urged his team and the country to pull together for the ‘improbable’ task of qualifying for the 2018 World Cup before he begins a thorough overhaul of the struggling football program. 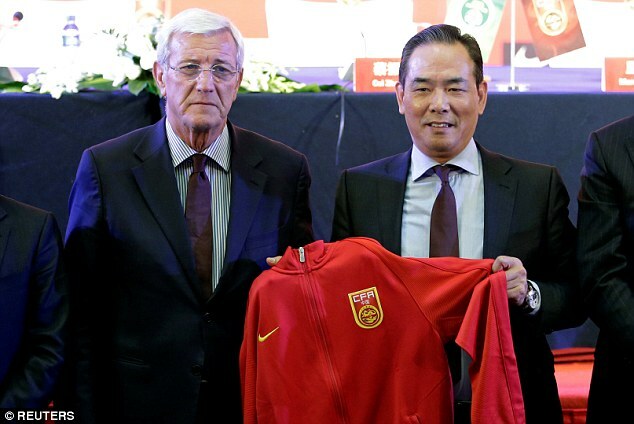 The Chinese Football Association formally unveiled Lippi as head coach of the Dragons, currently number 84 in the FIFA world rankings, at a news conference on Friday. 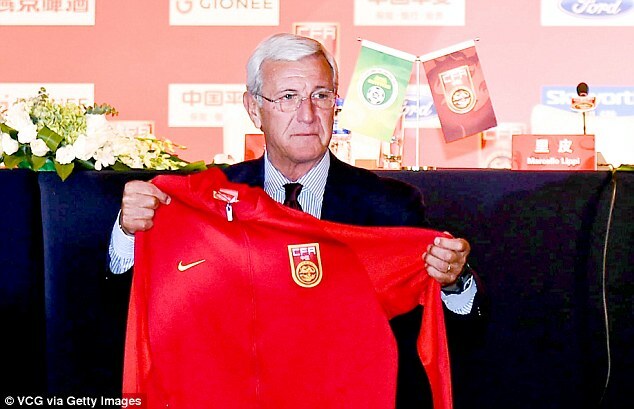 Chinese media reports say Lippi’s three-year contract is worth almost £18million a year, making him the highest paid national team coach in the world. 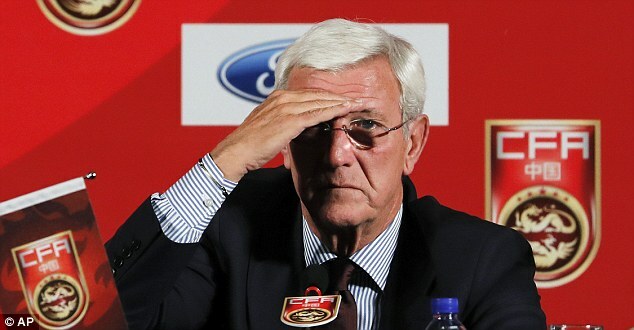 Lippi led Italy to their 2006 World Cup triumph, but despite being led by a manager with World Cup-winning experience, it is unlikely China will qualify for the 2018 World Cup in Russia. Gao Hongbo quit as head coach after the 2-0 loss to Uzbekistan earlier this month which left China with just one point from four games in Asia’s last round of World Cup qualifying, and Lippi acknowledged that he faces an uphill struggle. The veteran Italian, who was shortlisted for the England job after Steve McLaren’s sacking in 2007, said: ‘I believe the players are all skilful and have no need to feel inferior or envy toward players of other countries, because they can reach the same level. ‘What they need is a sense of responsibility, mission and belief. ‘In the qualification stages, our chances are not great, but what we need to do is pull together – the entire squad, the CFA, logistics, medical team – and maximize our chances and accomplish this improbable mission. 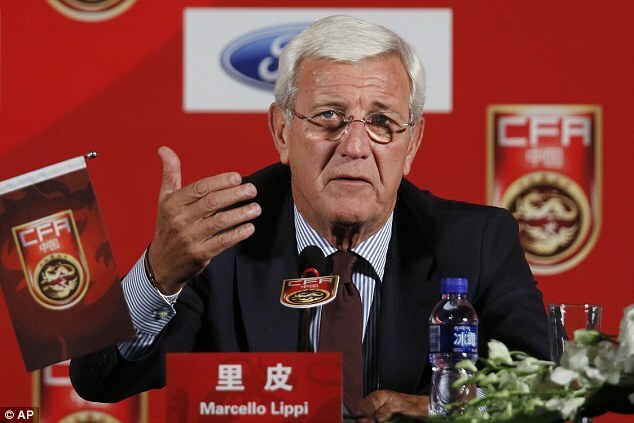 Lippi is already familiar with Chinese football at club level and has been successful. He became Guangzhou Evergrande manager in 2012, and led them to the Asian Champions League trophy in 2013. Chinese President Xi Jinping, a big football fan, has made improving Chinese football from grassroots level to the international level a priority of his administration, saying the game can boost children’s physical education as well as national pride. However, the team has qualified for the World Cup only once, when the tournament was co-hosted by South Korea and Japan in 2002, and were knocked out at the group stage without scoring a goal.